Sabarimala Temple: Women Are Removed From Tense Place Protesters Were Taken In Custody: Sabarimala temple controversy Once the Kerala government is standing with the decision of the Supreme Court, a large number of organizations and people are opposing the Supreme Court's decision. After the force used to remove the demonstrators protesting the entry of women in the Sabarimala temple, in the morning of Nilakkal, the main way of the temple became tense on Wednesday morning. 50 people, including former president of the Travancore Devasam Board, were arrested in Nilakkal and Paba, protesting against the permission of women to enter Sabarimala temple. 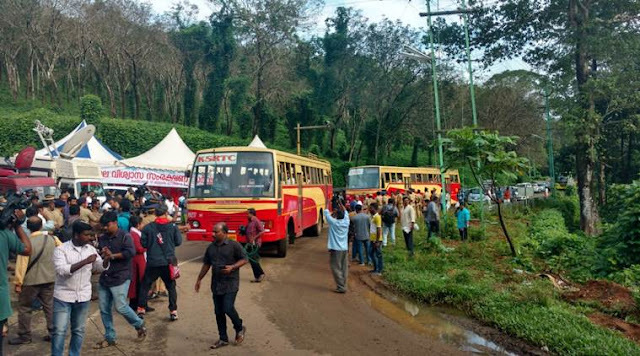 A large number of policemen deployed in Nilakkal, about 20 km away from Sabarimala hill, have also removed the tents of 'Sabarimala Achaar Conservation Committee', which have been demonstrating against the entry of women. Some pilgrims performing in protest against the verdict of the Supreme Court which allowed the entry of women of all age groups in Ayyappa Swamy Temple and Ayyappa is chanting the mantra. When the protesters tried to stop the buses on the main road to reach the temple, the police had to use force against them in the early hours of Wednesday. As soon as the police action began, there were very few demonstrators present there escaped. A few hours before the temple was opened for the monthly worship, the police said that he would not allow anyone to interfere in the movement of people taking full control of Nilakkal, the police warned those who created an obstacle in the way of pilgrims going to Ayyappa temple. Some protesters stopped the vehicles going to Pamba and stopped women from going to the temple, the police took strong action. 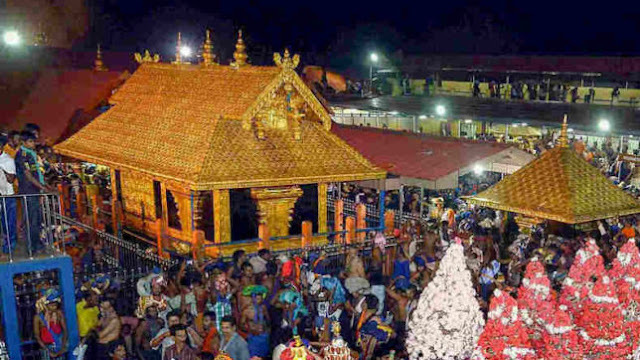 Workers of the Sabarimala Ethics Protection Committee on Monday night forced the 45 and 40-year-old couple going to Pamba from the KSRTC bus from the Tamil Nadu for the alleged reason. However, the couple says they will only go to Pamba and will not be able to climb the Sabarimala hill. Later the police took them safely. Some activists of the Sabarimala Ethics Protection Committee, present in Nilakkal, had also prevented media workers from allegedly doing their job. However, after the deployment of additional police force, all the media persons have returned to Nilakkal. Nearly 500 policemen, including women police personnel, are stationed on Nilakkal, the main road to go to Lord Ayyappa Swamy Temple. Meanwhile, another group of devotees in Pamba expressed their opposition in a Gandhian style. After the Supreme Court's decision, the doors of Ayappa Swamy Temple are going to open on Wednesday evening for the first time. After five days of monthly worship, it will be closed again on October 22.